Taipei, March 24 (CNA) Japan's Deputy Minister of Internal Affairs and Communications Jiro Akama will visit Taiwan this weekend, making him the highest ranking Japanese official to come here since 1972, when the two countries severed diplomatic relations after Tokyo switched recognition from Taipei to Beijing. Akama will promote Japan's tourism activities, the Japan-Taiwan Exchange Association (JTEA) announced on its official website Friday. The JTEA, which represents Japan's interests in Taiwan, said Akama will fly to Taipei on Saturday, and will preside over an opening ceremony for a promotional event, titled "Colorful Japan," to be held at the Huashan1914 Creative Park that day. 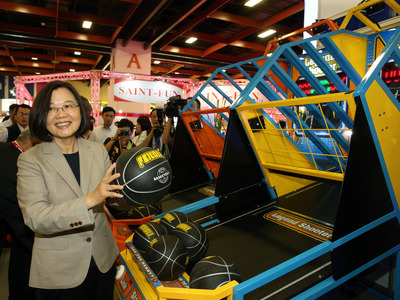 It's not clear whether he will meet with senior Taiwanese officials during his visit. In a cocktail party organized to introduce local culture of Japan to Taiwanese people, JTEA Representative Mikio Numata said he wishes the upcoming cultural fair will let more Taiwanese people know about the beauty of Japan.